Back in the late 1980's we lived in a very old house, parts of it dating back to 1530. In the local county museum, I'd found some information on very old local customs dating back to when witchcraft was allegedly widespread in the area. One superstition was to leave three iron nails on top of a door frame, apparently the devil can't abide iron, so the story went, making it impossible for him to hide on the door frame and jump on your back as you passed through the door. Shortly after I was making changes to my daughters bedroom when we found a tiny old door which had been bricked up and plastered over. As we uncovered it we found - you guessed it -Three Iron Nails. We left them there - can't be too careful. The restoration of our Scow isn’t going very quickly, in fact all I seem to have accomplished is to take things to pieces. The deck, which I removed before we went on holiday seems to smile, provocatively at me every time I go in the garage. 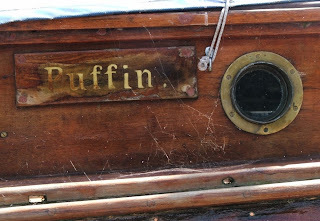 But with a keen interest in Scows it was nice to find this one in the boat compound at Bucklers Hard on the Beaulieu river. I took loads of pictures to get some ideas of the fittings and arrangements which will be useful when I start rebuilding. This nice example is a Beaulieu Scow, built locally, I’ve seen a few sailing in the mill pool below Beaulieu village, where there’s a small sailing club. On the same subject I got a nice email from Leafy, who lives, paints and blogs from Mersea Island on the east coast, she is a Scow sailor and her delightful graphic is based on her restored Scow. Just goes to show there's a little bit of Benny Hill in all of us. With apologies in case you didn't guess wind is gas!! Cold star lit nights and frosty twilight mornings demonstrate that Autumn is with us. A week from now it will be Halloween, then Bonfire Night followed by the run up to Christmas. 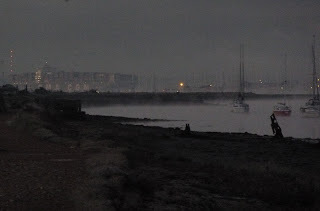 With daylight saving time (British Summer Time) in place for another week it's still quite dark at 7 AM, but the river has a seasonal beauty which well worth getting up and out early to see. 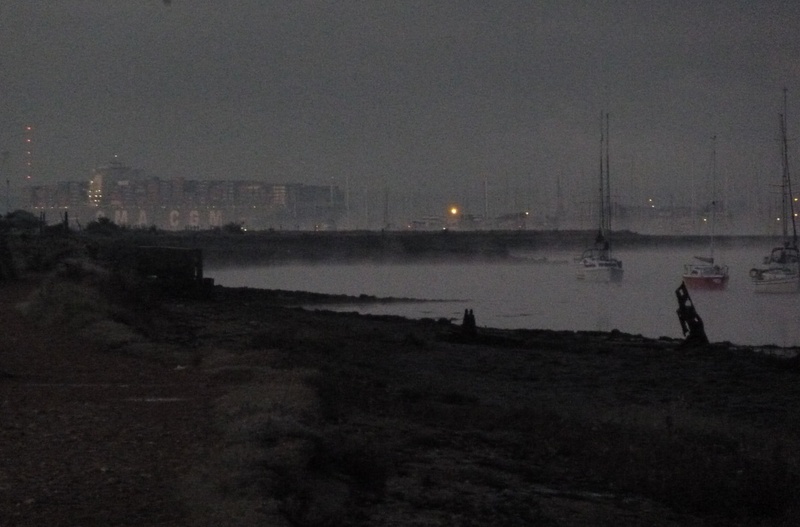 Above the mist is still rising from the river, the yachts lying peacefully at their moorings, while in the background a container ship makes it's way up Southampton Water. Retuning back up the river the daylight was coming on quickly and by the time I got home for breakfast the sun was shining at the start of a glorious day. 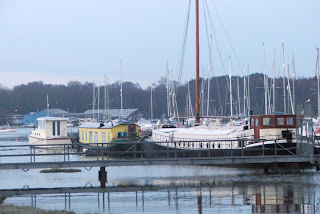 The Bursledon blog has been on autopilot for the past couple of weeks while we were on holiday. 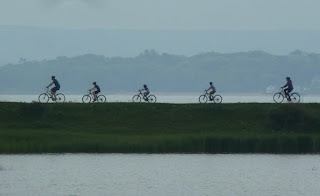 We stayed in a small coastal town in the Languedoc region in the South of France. Our journey there took us across the “Massive Central”, at the southern end of which lies the Millau Bridge. We’ve driven over it several times but always in poor weather conditions, rain or low cloud or at night. This time however we got to see the bridge in spectacular early morning sunlight. At the deepest point the valley floor is getting on for some 300meters (over 1000 ft) below the roadway. Even more remarkable and just about visible in the picture, is that the bridge is built on a curve. 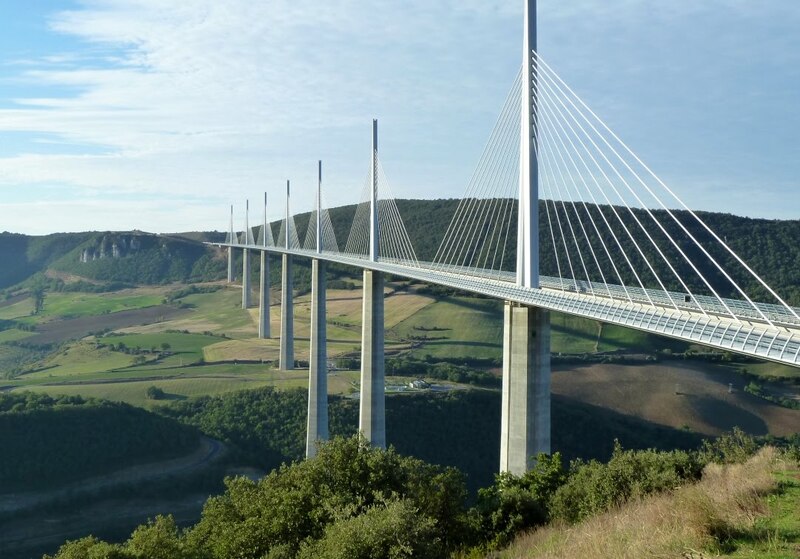 During an interview when the bridge was first built, architect Sir Norman Foster was questioned about the curve, his reply was that having gone to such lengths, such expense and enormous technical challenge to create the bridge, it was important that drivers should be able to see and appreciate the bridge as they passed across it. No, sadly we haven't resolved our dilemma over the replacement for Greta. 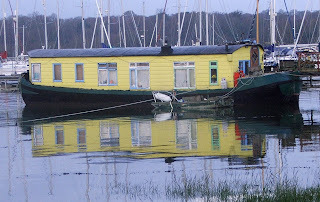 Hamble River Rowing took delivery of a new Bursledon Gig this week, well a hull anyway. 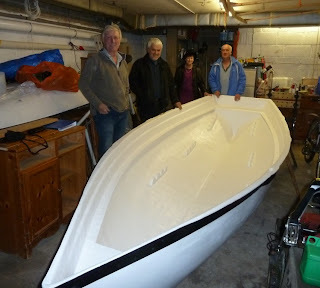 The fibreglass hull will be fitted out over winter to be ready for next year. The current HRR boats will be out on the river on 6th November to take advantage of a big tide to row up to the Horse and Jockey pub at Botley. 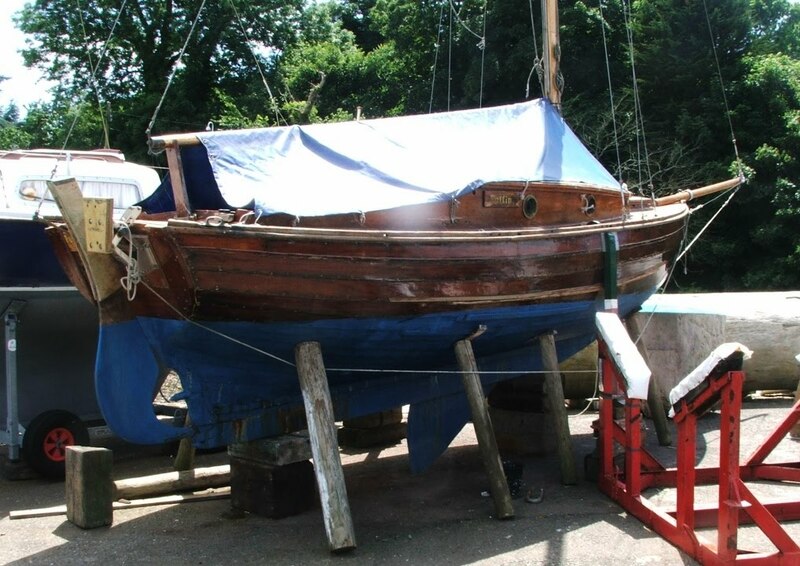 Imagine this delightful sloop in her heyday, her sails drawing and planking newly varnished. 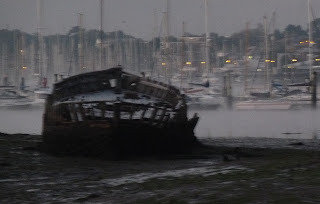 Although at first glance the construction appears to be clinker (lapstrake) it seems to be built with quite wide, carvel planking which I'm guessing is copper or brass fastened to internal battens. With a shallow draft and a drop keel Puffin would have been ideal for exploring the shallow waters of Carrick Roads or the creeks of the Fal estuary. 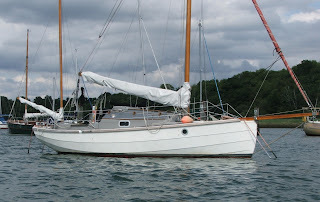 Regular readers might recall that we sold our yawl Greta in the summer. I put I put her up for sale thinking that it might take some to find a buyer, but in the event she sold within 3 weeks including the normal delay while the buyers survey was carried out. 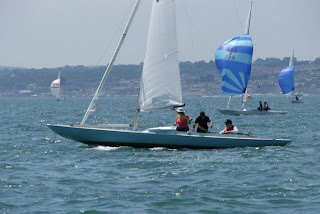 So while we have found ourselves without a yacht during what has been one of the best summers for years, we’ve managed to do some sailing thanks to friends, plus we’ve sailed our catboat Tosh and have used the time to do quite a lot of rowing. While it’s all been nice, finding a replacement for Greta is becoming something of a challenge. 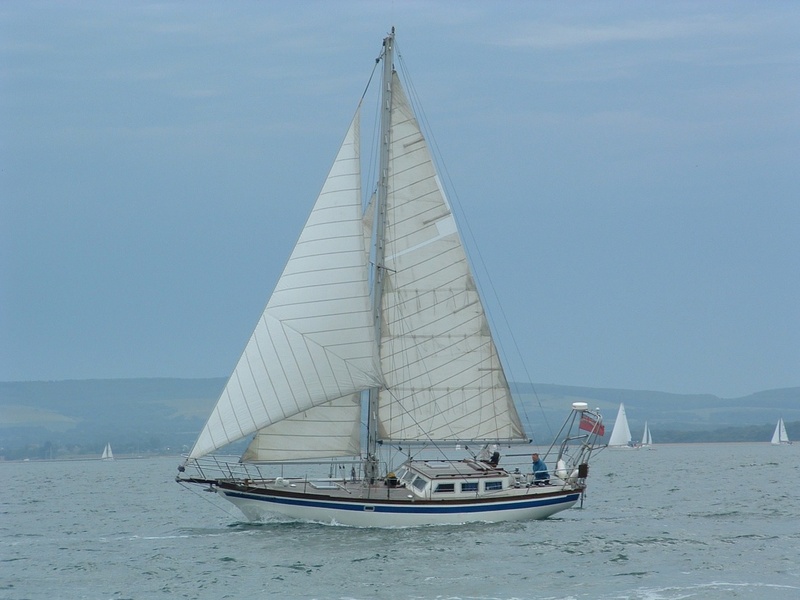 Actually the story goes back further, we bought Greta as a downsize from our Endurance 35 Angelina, (above) a 16 Ton cutter (TM). 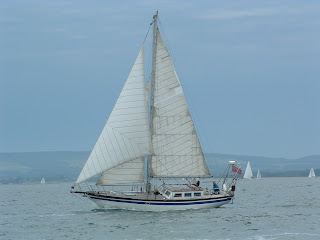 Angelina was a fantastic sea boat, heavy, stable and would drive to windward in 30 knots of wind (normally as we were getting down to the west country for start of our summer holiday!!). 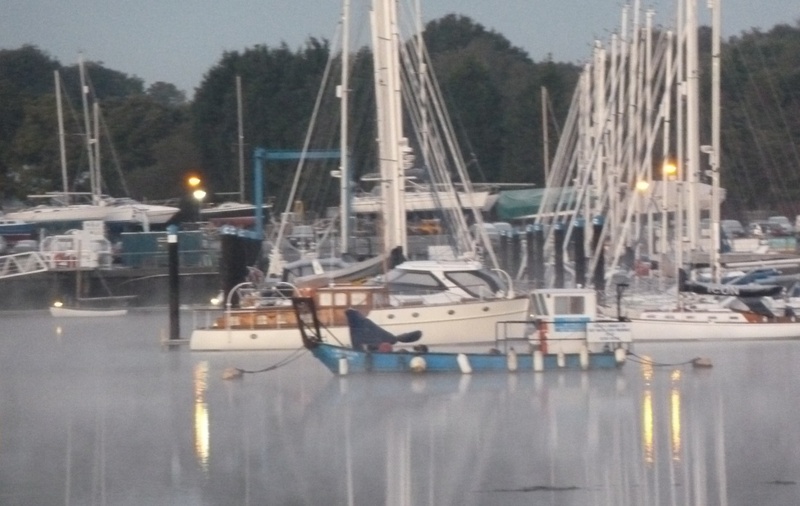 Being big and heavy, she wasn’t especially lively for weekend sailing, the gear was all heavy and hard work, so getting away from the mooring could easily take over an hour, putting her away at the end of the weekend the same or more. 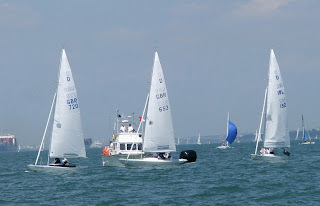 With a very high displacement to waterline ratio - 417 and modest sail area to displacement ratio - 15.2 sailing in light air was challenging, especially in the choppy and turbulent waters of the busy Solent, where motorboat wash is a constant hazard. Strong winds were her forte, but even then she needed a lot of sail up to power her along, which meant some fairly large stresses on sails and rigging. Having rethought what we wanted from sailing, we settled on Greta (above) in 2007, a pocket cruiser, rigged as a gaff yawl with good sail area. 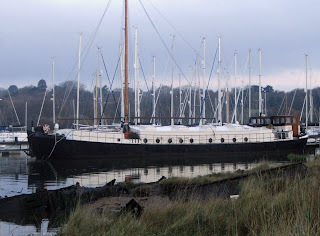 She was a delight to sail, with her light weight gear we could be away from the mooring within minutes and she was nimble enough to sail in and out of the river with ease. 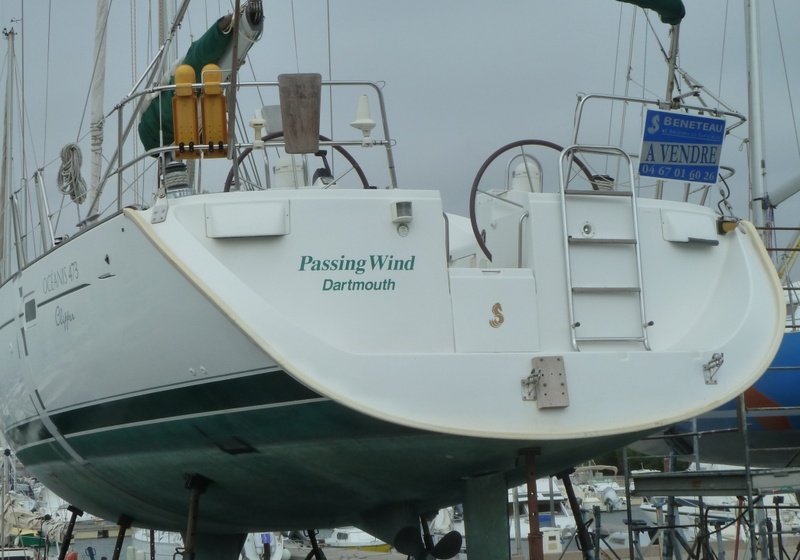 Although relatively small, she was a tough little boat, proving herself more than able to take some pretty rough conditions sailing in 40 knots under reefed jib and mizzen. So why did we sell her? Pocket cruiser is the give away, the accommodation below was fine and forced us to be economical and tidy with equipment and clothes. Even with a new baby, there was enough room for the pushchair and Joe fitted nicely into the raised forepeak. 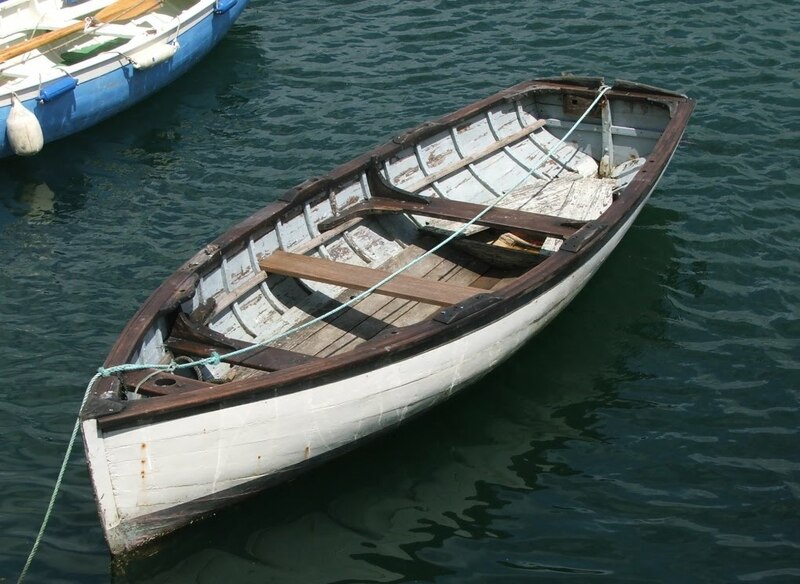 It was outside that we became increasingly frustrated, there wasn’t adequate room on the foredeck to store a dinghy, or even room to blow up the inflatable. 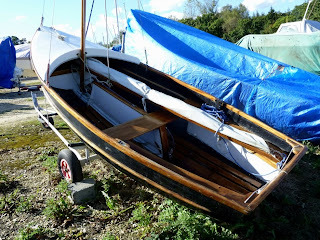 The outboard had to go in an inaccessible locker as there was no room on the narrow stern to mount it where it wouldn’t interfere with the mizzen. 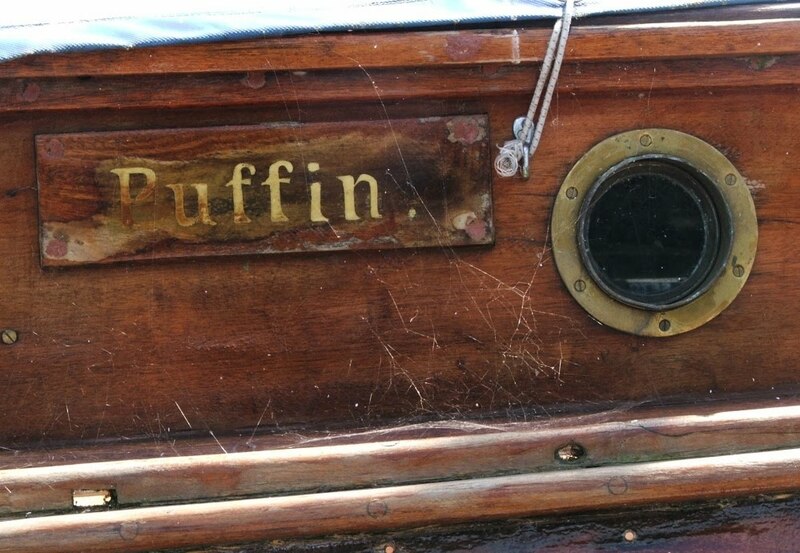 And besides I couldn’t bring myself to spoil that lovely transom with an outboard and bracket. 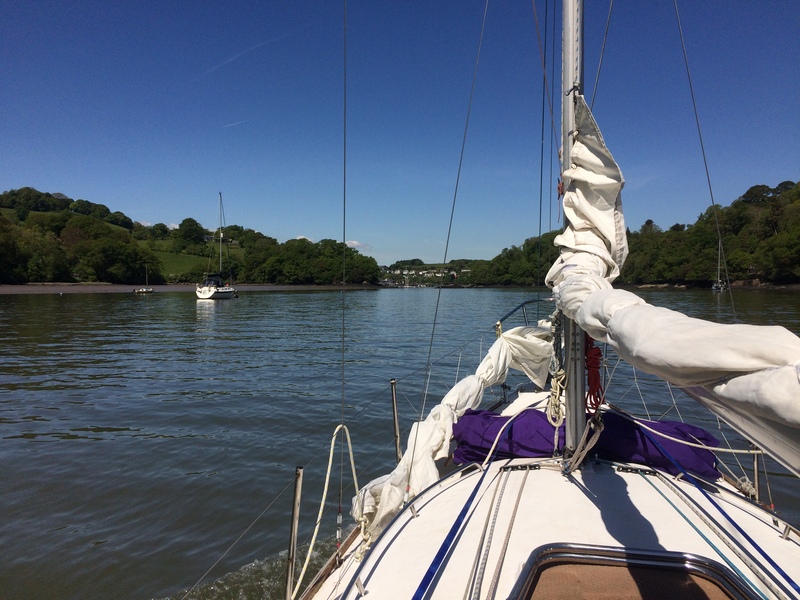 I don’t like to tow a dinghy, so doing the things we really like, anchoring in out of the way places and exploring in the dinghy became a pain rather than a pleasure. 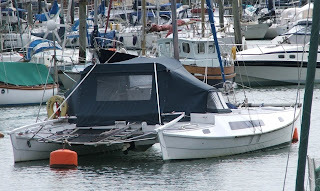 For a long time I’ve been talking about a fast, fun day boat, since we only live some 200 meters from the water, we could enjoy an afternoon sail, dinner at the yacht club and then home to the comfort of our own bed – sounds very appealing, but we still have the urge to overnight at weekends, and the lure of three weeks cruising those west country rivers keeps nagging away. Which led us to the idea of a catamaran, fast, stable, loads of room for Joe and his toys, big windows to take in the view and extreme shallow draft would allow us to get into those out of the way places we enjoy. Anyone who’s sailed a catamaran will know there’s room on the fore deck to build a dinghy, never mind store one! 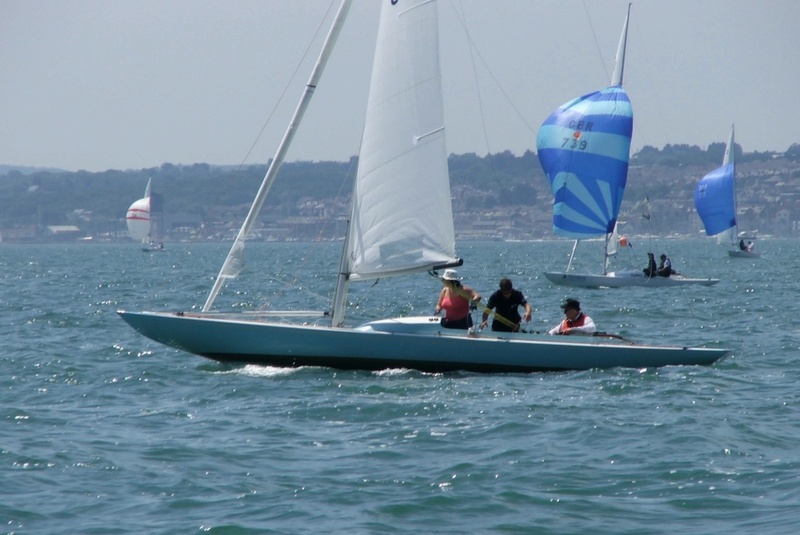 Perfect – well, perfect except… as friends kindly explained when I first had the idea, they just couldn’t see me in a catamaran and they are right, for me a boat needs to stir my soul and although it's an entirely personal view a catamaran just doesn't do it for me. The local Dragon fleet were out in the Solent in the summer, so I couldn't resist sailing over for a closer look at these classic keel boats. Designed by Johan Anker in 1929 as a small cruiser racer, the Dragon became an Olympic class in 1948 which it maintained until the 1972 Munich Olympics. 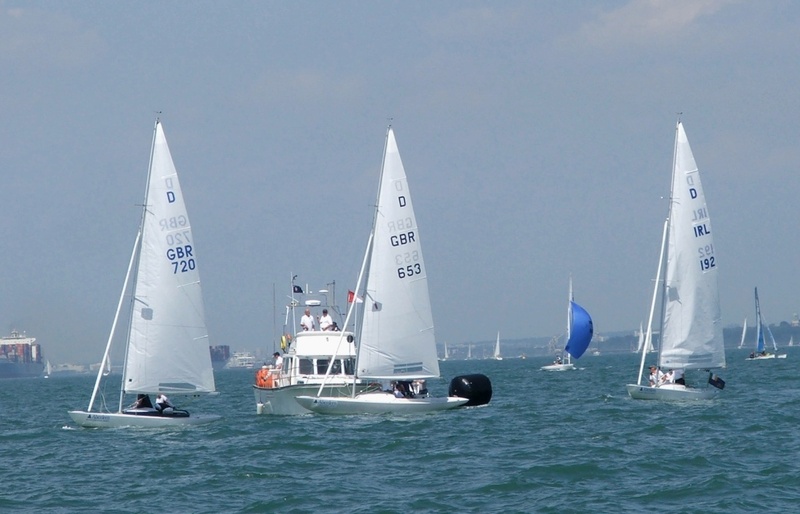 The Dragon was first introduced to the UK on the Clyde in Scotland, shortly followed by the Solent where an active fleet has operated from Cowes right up to the present day. While most people think of the Dragon as a racing class, there was a fascinating book "Gerda's Sea Saga" by Morin Scott, detailing a voyage he made in 1948. 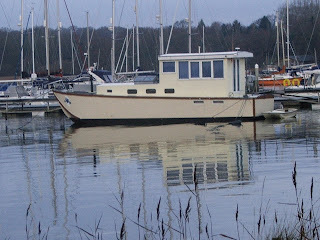 Leaving the Solent in his newly acquired wooden Dragon, Morin and friends sailed up the west coat of England to Scotland and then on to Norway and back. 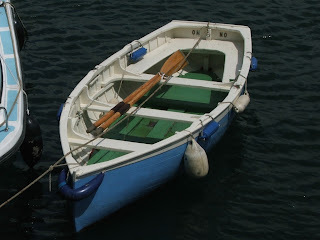 Not all working boats set a cloud of sail on a sparking sea, these modest craft were seen off the town quay in Falmouth. Years ago the water front outside the customs house would have been alive with small rowing boats plying their trade around the harbour, moving goods and crew between the anchored ships and the shore. 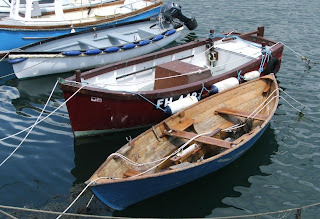 These two fine examples are both of traditional carvel construction, whether they are actually still working boats I don't know, certainly the one below looks to be very wel kept, so maybe it's a pleasure craft. 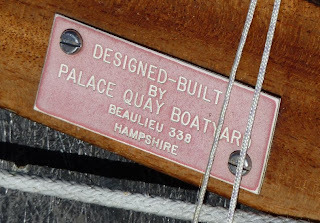 The design is interesting, you can see the lineage in our local Bursledon Gig, which is a fibreglass boat based on an old a Falmouth design. 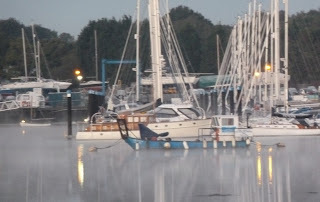 Not all were strictly traditional, the boat at the rear has been fitted with an outboard, although the thwarts are clearly laid out for rowing. 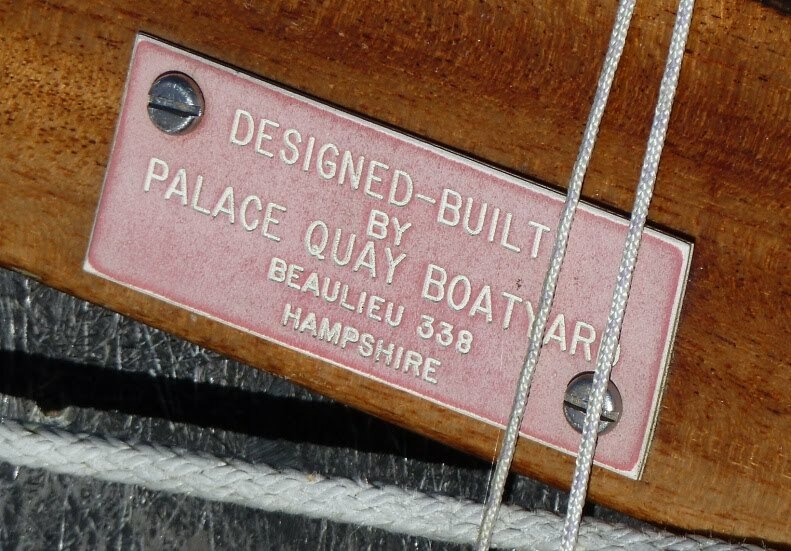 In the foreground a dory type, not a native of west country, construction appears to be glued plywood, but non the less a good work boat.